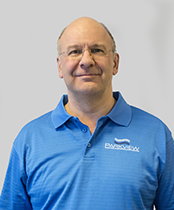 After gaining valuable experience working in Private Practice settings around Surrey and West Sussex, Simon opened the Parkview Clinic in 2007. 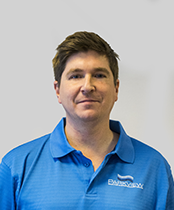 Much like Simon's career experience, the clinic has a strong focus on the treatment on mechanical and structural pain in the human body. Simon graduated from the Surrey Institute of Osteopathic Medicine and went on to work alongside some of the leading Osteopaths in the area as well as gaining skills working closely with Physiotherapists in the sports injury and pitch side settings. Like most therapists in this sector, a large proportion of his time is spent treating conditions of the lower back and neck; however, Simon also has a keen interest in the treatment of conditions affecting children and expectant mothers. Other areas of interest include the treatment of Shoulder disorders, Arthritic pain, Postural problems and Sports Injuries from Rugby, Cricket and Skiing. At post graduate level Simon has attained further qualifications in Medical Acupuncture / Dry-needling, Fitting of Prescription Orthotics, Kinesio Taping, Ultrasound & Electrotherapy treatments. Simon is also trained in RFU Immediate pitch side care and spends plenty of weekends traveling with the Reigations rugby club around the South of England. Although his days of playing rugby are behind him, he still keeps active with both playing and coaching cricket. Abby first qualified in 2005 with a VTCT in Swedish Massage, and more recently graduated in Advanced Clinical Massage Therapy with the well-respected JING institute. 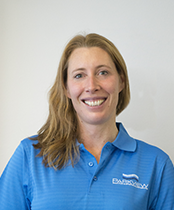 She works with a variety of clients and offers treatments individually tailored for clients with specific pathologies to sporting injuries and general stress and tension relief. 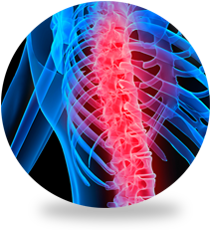 A combination of advanced massage techniques such as deep tissue massage, myofascial release, soft tissue release, stretching and trigger point therapy, can provide treatment of common pain conditions such as back problems, sciatica, herniated disc, frozen shoulder, sporting injury, headaches, RSI and osteoarthritis. Clinical massage is a non-invasive therapy that encourages healing. It is for everyone who is experiencing musculoskeletal pain and dysfunction of the soft tissue. Clinical Massage is outcome based massage and offers effective relief from chronic pain including after-care advise to manage pain conditions. 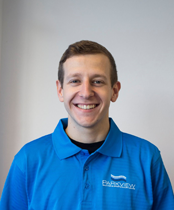 Grant has worked as a sports and therapeutic massage therapist for over seven years. As a sportsman himself and working as first team, pitch side sports therapist for various sports clubs he has a empathetic and in-depth knowledge of sports injuries and rehabilitation. 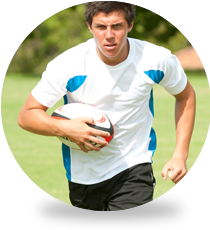 Working closely with Old Reigation rugby club has given him the opportunity to further improve his skills by handling an array of injuries along with the demands of sportsmen to be fully functioning as quickly as possible. His treatments cater for a host of abilities and lifestyles. His clients presenting with SCIATIC PAINS, NECK and SHOULDER problems, SHIN SPLINTS and BACK ISSUES of all types. A variety of people from all walks of life seek his expertise, from TREE SURGENS to OFFICE WORKERS and POLICE OFFICERS to ELITE ATHELETES. 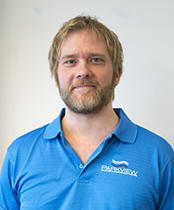 He combines deep tissue massage with muscle energy techniques as well as stretching and rehabilitation advice to provide a professional and friendly atmosphere at competitive, affordable prices. Confidentiality and privacy are maintained throughout all your treatments. 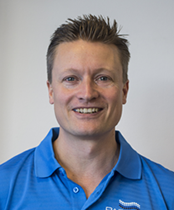 In addition to being a registered Osteopath and Sports Therapist, Kevin has competed additional post graduate qualifications in Sports Taping & strapping (Proactive Training), Pitch side Sports First Aid & AED (ITC), Kinesio taping KT1 & 2 (Kinesio Uk) & Dry Needling (Dr Anthony Campbell). Kevin moved from Yorkshire 15 months ago to join the team at Parkview Clinic. He brought with him first team rugby League sports injury experience along with Osteopathic experience from a successful clinic in Huddersfield. While working at Parkview, Kevin continues to offers a professional service to the residents of Reigate and the surrounding area. 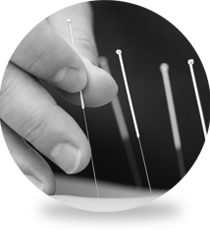 Kevin approaches his treatments with both classical and structural osteopathic approaches and uses both Dry needling and Kinesio taping to aid rehabilitation and recuperation. Kevin's future aspirations at Parkview are to continue to offers the highest quality of treatment and uphold the clinics already outstanding reputation. I was born in 1962 and initially trained at the 'Raworth Centre' in Dorking as a 'Complementary Health Practitioner', achieving my diploma in 1990. To begin with, I specialised in sports massage and other remedial therapies, working alongside Osteopaths in their practices. This exposure to hands-on Osteopathy, seeing its scope and effectiveness in the treatment of a wide variety of musculoskeletal and other conditions inspired me to train as an Osteopath. Osteopath training is demanding and lengthy. Recognised qualifications are only available from Osteopathic educational institutions accredited by the General Osteopathic Council. I studied at the British School of Osteopathy a world renowned Osteopathic institution and the oldest school of its type in the UK. In 1999, after four years of full time study, I qualified as a Registered Osteopath with a 2.1 Bachelor of Science Honours degree. I also teach; currently I am principal lecturer in Osteopathic Technique at the Surrey Institute of Osteopathic Medicine, a recognised qualification (RQ) Osteopathic degree course based in North East Surrey College of Technology in Ewell. I am interested in all aspects of Osteopathic practice but my main focus is structural Osteopathy working with patients on a one-to-one basis. Over the years I have gained a wealth of experience in the treatment of a wide variety of conditions and age groups, always obtaining great satisfaction from successful individual outcomes. I originally qualified in 2014 with a foundation degree in sports therapy, after 2 years of studying and developing both hands on skills, but also essential classroom knowledge of a variety of conditions and how to treat them. During this 2 years I worked with a variety of sports teams in rugby, football and American football, but also a clinical environment also. Once I finished my foundation degree I chose to develop my knowledge further by studying my Masters Degree in Osteopathy at the Surrey Institute of Osteopathy in Epsom where i spent a further 3 years of developing my knowledge and also practical skills in the clinic based on site. My main focus when treating is more to the structural musculo-skeletal aspects of osteopathy, but I also like to incorporate treating patients using my techniques learnt from sports therapy, with a particular interest in rehabilitation but also postural exercises to maintain the body on a day to day basis. Lauren qualified from the University of Essex as a Physiotherapist. In addition to her degree she also has previous qualifications in Sports Massage and Kinesio Taping giving her a well-rounded hands on approach to treatment and patient rehabilitation. Laurenâ€™s approach to patient care has always been focused towards MSK injuries and she has had a great deal of experience working at the last 2 London Marathons, traveling with the British Water Ski team and also helping patients at the Headley Court Rehabilitation centre for the armed forces. On top of her work here, Lauren also works for the NHS at East Surrey Hospital where she has gained experience treating everyone from paediatric to geriatric. In her spare time, Lauren is a keen horse rider and captain of the Reigate ladies lacrosse team.